I hear it all the time, “Who has the best conference in college football?” SEC? Big 10? ACC? What about the Pac-12? Very rarely are you going to hear the words “Big 12” coming out of someone’s mouth in that conversation. 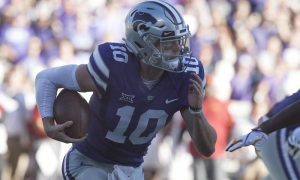 Whether you do it or not, there are plenty of folks out there who love to bash the Big 12 conference (cough, Paul Finebaum, cough). The final Big 12 game was played on Saturday and it just so happened to be between Texas and Oklahoma FOR THE BIG 12 TITLE! There were plenty of ups and downs in this game and as always, there was some good, bad and a little bit of ugly. Also, I know Iowa State hosted Drake and escaped with a close win, but this article will strictly focus on the Big 12 Championship game. 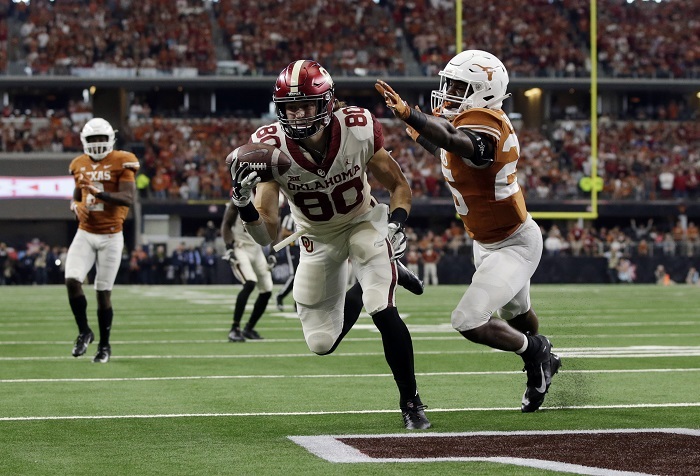 In case you are living under a rock, Oklahoma beat Texas 39-27 to win their fourth consecutive Big 12 title. I must combine these two together because I thought they both did an outstanding job stuffing the run all game long. 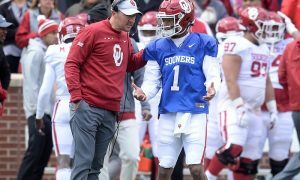 Coming into the game, Oklahoma was averaging well over 200 yards on the ground and often would go for 300 plus the last few weeks. Texas did a great job of keeping the Oklahoma run game in check. Texas allowed just 129 rushing yards to a very potent run game. The same thing can be said for Oklahoma defense. Everyone (Including myself) has been ripping this team and saying how bad this defense was and to my surprise, they held Texas to just 88 yards on the ground. 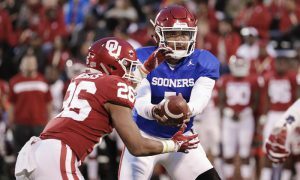 In the first meeting the Sooners gave up 177 rushing yards and to shut down the Texas rushing attack was a HUGE momentum builder for this defense all game long. If you would have told me Texas wouldn’t rush for over 100 yards against this defense, I would have asked you to take a drug test. Both teams did a great job in this area of the game. Once again, I must give credit to where credit is due. There was some solid quarterback play in this game. Heisman hopeful Kyler Murray had another Heisman like performance throwing for 379 yards and 3 touchdowns. He made play after play and I don’t think there is any doubt in my mind that he deserves the Heisman Trophy for his performance this season. This game was just icing on the cake for him. Make no mistake, Sam Ehlinger is no slouch either. Sam went 23/36 for 349 yards and rushed for 2 touchdowns. He really was the engine for the offense not only through the air but on the ground as well. 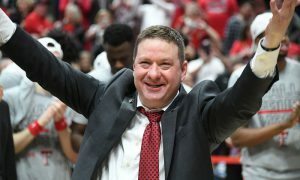 Most importantly, he is a great leader for this program moving forward. Texas didn’t win the game, but reaching this game was a good building block for the Texas program. Not only did the Sooners avenge their only loss to their most hated rival, they beat them for a Big 12 title. In fact, after the win it makes four straight Big 12 titles for this program which hasn’t been done before in the history of the conference. 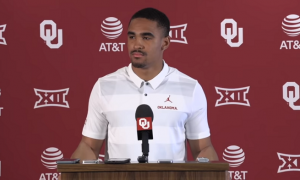 Most importantly, with the win Oklahoma was selected as the number four seed in the College Football Playoff. Up next, a date with Alabama in the Orange Bowl on December 29th. Both defenses had some good moments and some moments that everyone wished to forget about. Two players in this matchup made both secondaries look foolish. Wide receivers Collin Johnson (Texas) and Ceedee Lamb (Oklahoma) absolutely took over the game. Like I mentioned earlier, both offenses didn’t rush the football as they normally would, and these two guys made play after play torching the opposing corners. EVERYONE in the stadium knew that Texas was going to throw to Collin Johnson and yet Oklahoma could never stop it. Johnson finished the day with 8 catches for 177 yards and a touchdown. 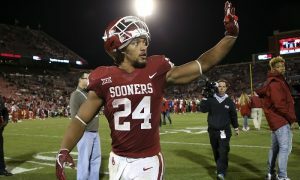 In fact, Collin Johnson broke the Big 12 Championship game receiving record with his performance. As for the Texas defense, they let Ceedee Lamb run wild on them at times. Yes, they did a good job keeping Marquise Brown in check but Ceedee had 6 catches for 167 yards and a touchdown. Outside of a fumble, Texas did nothing to truly slow him down. Between pass interference calls, holding calls and complete meltdowns at times, this wasn’t a great game for these two secondaries. Before I go off here, I will say this. This crew was spotty as hell on Saturday. I had no idea what was and what wasn’t pass interference in this game. When I thought a flag should have been thrown, there wasn’t and when I thought it was a clean play by the defender, a flag came out. Both teams had to deal with this and it was unfortunate to say the least. However, Texas had way too many mistakes in this game. 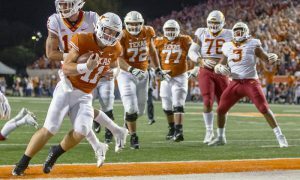 From holding calls to illegal formation calls, the Longhorns made way too many mistakes to win this game. In fact, Texas had 13 penalties for a whopping 128 yards. Texas played with poor discipline in this game and you can’t do that in any game let alone a game of this magnitude.